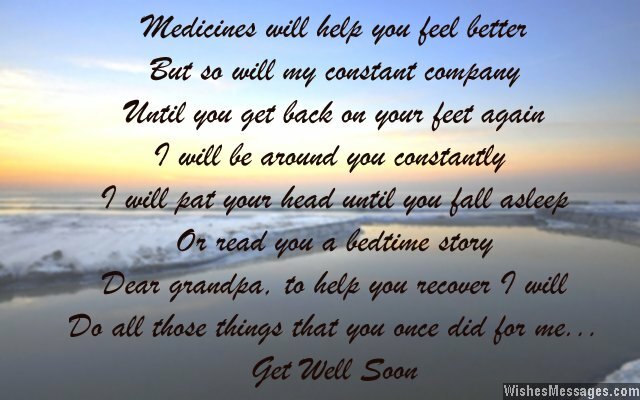 Get Well Soon Poems for Grandpa: Help your old grandfather feel better with sweet wishes and funny quotes that heal him with love and happiness. Think of all your childhood memories that you have shared with him and scribble it all out in a short rhyme on a greeting card. 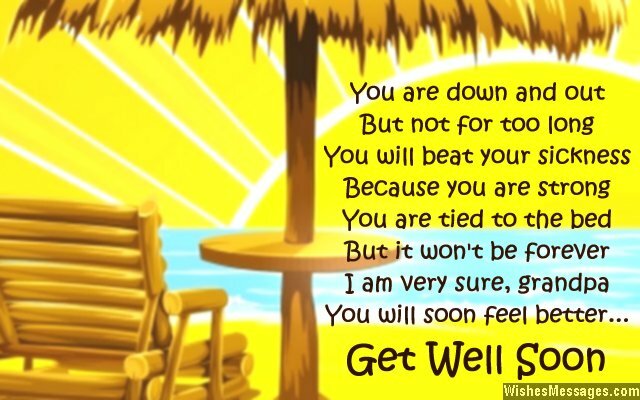 Leave it by his bedside in the hospital so that he breaks into a smile every time he reads it. Your cute message will take him back to the times when he used to play with you when you were a toddler. 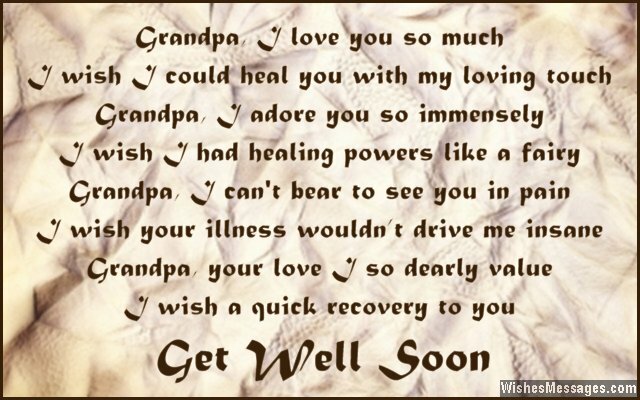 Apart from wishing your grandad a speedy recovery, don’t forget to visit him regularly until your love overpowers his illness. Be the grandson or granddaughter that your gramps deserves to have.